...through your ongoing support, we have reached our original goal of $300,000! THANK YOU for all of efforts, support, and encouragement. With these funds, we can sign the contract to initiate the solar installation. If all goes well, the panels should be installed by early September (fingers crossed!). I will be sure to send out pictures of the panels as soon as we are able to get them. This is a great moment for PUG and for the Sulayman Junkung General Hospital! Inspired by this success -- and the profound need for electricity at many healthcare facilities in the Gambia beyond the Sulayman Junkung General Hospital -- the Power Up Gambia Board and Kathryn have decided to continue their efforts to provide solar energy to hospitals and clinics throughout the country. The new phase will begin with the 9 satellite clinics of the hospital, and PUG "...would appreciate your ongoing support as we begin our next phase." The amazing Kathryn has also been nominated for the "Do Something Award, the new addition to the Teen Choice Awards which will air on FOX, August 4th:"
The Do Something Awards recognize "amazing young people - seriously amazing young people. Nine finalists - who saw a problem in the world and then tackled it are eligible to win $100,000 for their cause through the Do Something Award." Only teenagers can vote for the finalists at www.teenchoiceawards.com (go to the "Do Something" tab). Teens can vote EVERY DAY between now and August 1st. Please ask all of your teenage friends to vote!!!! There is also a facebook group called "Power Up Gambia at the Teen Choice Awards" that they can join. If you are not a teenager - you can still help by printing a poster (Download PUGPoster.pdf) and hang it up at work, libraries, gyms, coffee shops, etc. Susan Scott, a friend of PUG and member of its Education Committee, has kindly composed a press release that you can forward to any publication that might be interested in helping (Download PUGPressRelease.doc ). AfriGadget, that brave new face of the "can do" attitude personified has joined the prestigious community of Time Magazine's 50 Best Websites 2008! Anita Hamilton talks briefly about the process she used in selecting the list and some personal favorites here. i learned about this from Collins Mbalo of the Nairobian's Perspective yesterday. Erik himself grew up in Sudan and Kenya. He is a passionate advocate of change brought about through the smart use of technology. He started and runs the WhiteAfrican personal blog. Steve Mugiri is one of the most dedicated editors who is deeply committed to ensuring top quality content. He has sourced some of the most popular stories on AfriGadget to date. Check out Steve's blog at Ntwiga. Juliana Chebet is one of the founding AfriGadget editors. A Kenyan with an engineering degree and a heart for solar power, she currently lives in Chicago, from where she runs Afromusing. Juergen Eichholz is a German water & sanitation specialist who, like Eric, grew up in East Africa. He "has a knack for finding interesting stories that go beyond the normal found on AfriGadget." Now, that's saying something when you realize this: 'normal' on AfriGadget is already parsecs beyond what goes for 'normal' in mainstream media coverage of events in Africa! Visit Juergen's blog Kikuyumoja’s Realm. 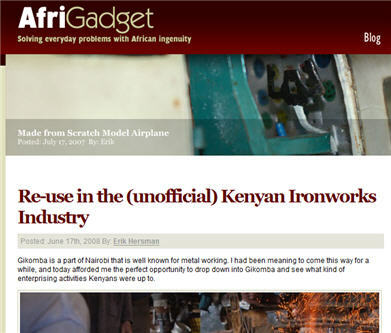 Eric is always at pains to point out that AfriGadget is "a team blog done by Africans all around the world. Stories are sent in to the various authors and they post them - so anyone can contribute" (see comment section of this post over at the treehugger). This attitude, among other personal attributes of this remarkable individual, is at the root of AfriGadget's success. As we celebrate AfriGadget's achievements today, one cannot help but wonder how the future will unfold for its growing community of contributors and readers. Only time will tell the success stories yet to come. According to documents filed at UIA, the park will provide a modern environment for the economic rejuvenation of Jinja town, where the park will be situated. The facilities will include a hardware and software innovation center, a biotechnology innovation center and what has been called a multinational engineering design center. The park will be given a special economic zone status and...will enjoy the benefits of being one of the first projects of its kind in East and Central Africa. 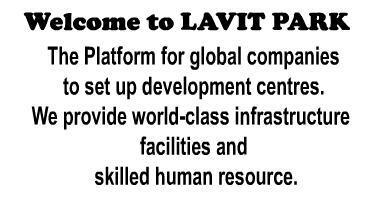 Studies of technology parks like that envisaged by the LAVIT partners can help nations meet their immediate goals of increased foreign direct investment, "technology transfer, increased exports, technology diffusion, increased employment, and human resource development." But LAVIT is more than that: it is also a powerful message from the people of Uganda to the Indians who were expelled from the 'Pearl of Africa" under Idi's sadly misguided "Reign of Error" -- welcome back home! The UN is considering a new type of bond that would spur investment in clean-energy projects African and other developing countries. Alex Morales provides details about the so-called climate bonds here. The main idea is for the developing countries to sell these bonds to investors. Each security would finance projects designed to reduce greenhouse gases blamed for global warming. Mature bonds could be exchanged for credits that allow industrial plants to emit a certain amount of carbon gases. Because investors are looking to achieve the greenhouse-gas reductions as cheaply as possible, the mechanism favors some countries above others... Of more than 1,000 registered projects to date, more than half are in just two countries, China and India, according to the UNFCCC Web site. By contrast, climate bonds may reduce costs for investors, thereby making a greater number of projects in African and other developing countries more attractive for them. The bonds would be backed by the issuing government, and once they mature, investors would receive carbon credits, tradable securities each guaranteeing a metric ton of carbon- dioxide reductions were made. CO2 is the main greenhouse gas blamed for global warming. The UN's plan is part of a new wave of global efforts to boots clean energy investments in poor countries. Earlier this week, the World Bank announced its own plan to "raise at least $5.5 billion with the U.S., U.K. and Japan this year for climate change funds that will help poor nations use clean technology and tackle global warming," according to Yuji Okada and Shigeru Sato over at Bloomberg.com This is certainly a step in the right direction, but Yvo de Boer, executive secretary of the United Nations Framework Convention on Climate Change, is concerned, rightly, that the amount is significantly below what is required to make a real difference in energy access for the poor. This concern appears to have motivated the UN's Climate Bond Plan. Congratulations to the 16 companies that won Lighting Africa awards at the First Global Business Conference for Off-Grid Lighting In Africa, held in Accra, Ghana, earlier this month. All 16 winners are listed below this post. Thanks to Aled Blake, whose article on G24i, one of the winners, led me to the news. The conference was organized by Lighting Africa, a World Bank Group initiative aimed at providing up to 250 million people in Sub-Saharan Africa with access to non-fossil fuel based, low cost, safe, and reliable lighting products with associated basic energy services by the year 2030. That's about half the population who currently have no access to electricity on the continent. 5 criteria were used in selecting the winners: Innovation; Measurability of outcomes; Organizational and financial sustainability; Growth potential; and Realism. The measurability criterion is especially significant. It ensures that we have winners whose performance can be independently accessed, while adding to the growing collection of much needed tools for monitoring and evaluating clean energy initiatives on the continent. The winners clearly deserve the seed funding (up to $200,000) they received to help them scale up the clean, safe and affordable energy solutions they have created. Check out who they are in the list below, or learn more about each award winner here. Solar Energy Provision for Lighting and Portable Water Provision to the Low Income Rural Community of the Nganha village in the Adamaoua Province of Cameroon. If you want to see the future of sustainable design, drive southwest from Abu Dhabi's international airport, stop when you come to the desert — and use your imagination. You're standing in what will be Masdar City: a radically innovative development powered entirely by renewable energy. 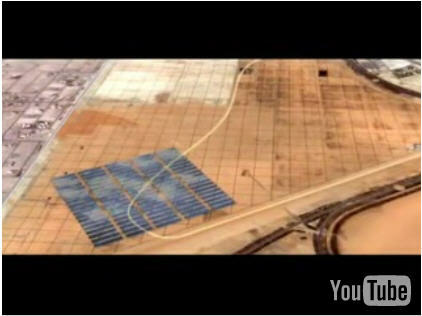 ...is little more than a dream in the desert today, but the beginnings of Abu Dhabi's transformation are visible in a field of 25 different solar panels sprouting from the sand near the construction site. The shimmering silicon modules are being run through an 18-month field test to determine which kind of photovoltaic technology will work best in this hot and dusty environment. The winner will help power Masdar City — and, eventually, perhaps much of Abu Dhabi, as scientists here learn to tap a renewable energy source that could ultimately be as powerful as the oil that has made this region so wealthy. The forward-thinking leaders of sun-baked UAE, leaders like 35-year-old Sultan Ahmed Al Jaber, Masdar's CEO, obviously understand something that other leaders seem to be missing, including those in oil rich African countries. And what is that something? i think it may be found in a typically precise comment by Klaus Topfer, former head of the United Nations Environment Programme (UNEP): "The region is rich in fossil fuels for the time being. But this region will be rich in sun for all time..."
Power Up Gambia (PUG) founder, Kathryn Cunningham sent email telling me about her initiative yesterday. i came away inspired and humbled by what this 20-something year old pre-med American senior at the University of Pennsylvania has managed to do in less than 3 years. "...fortunate to have the opportunity to work at a rural hospital in The Gambia, a small country in West Africa. For two months, while assisting the doctors and nurses, I witnessed a staff fully committed to providing the best possible care while hampered by the on-going problem of inadequate and unreliable electricity. Imagine a hospital with no electricity. Medical procedures take place by candelight, surgeries are limited, vaccines spoil due to limited refrigeration, infants die without incubators, surgeons scrub-in for surgery using buckets, microscopes and lab equipment lay idle. 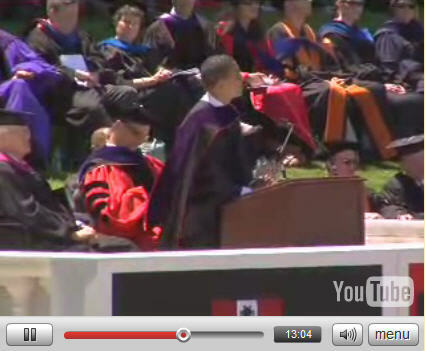 I came home from this experience, and at the age of 20, I was determined to do something. She created Power Up Gambia as a non-profit organization through the Delaware Community Foundation to raise the necessary funds for the purchase and installation of solar panels for the Sulayman Jungkung General Hospital. Currently, we have a twelve membered board dedicated to making this happen. We have garnered the support of a broad cross-section of our local community including; rotarians, politicians, ambassadors businessmen and women, students, parents, educators, and more. To date, we have raised $150,000 of our $300,000 goal. I am also proud to announce that in early January I returned to the hospital and witnessed the installation of the solar powered water pump – the first phase of the project. The hospital now has full-time running water. Overall, I am convinced that PUG is an exceptionally inspiring story of human compassion walking the talk – against many, many odds. PUG's achievements to date pretty much speak for themselves; even the mainstream media has taken notice, and stakeholders are recognizing Power Up Gambia, from the ground up. I believe it will not be long before the current trickle of funding grows into a flood, enabling PUG to realize all its objectives, and perhaps even trigger similar initiatives throughout the health sector in Gambia and beyond. Bravo Kathryn! Keep up the good work. The U.S. invested $32 million over 10 years in the global battle against smallpox. That sum is recouped every two months, simply because Americans no longer need to get vaccinated against smallpox. So that investment has yielded a 46 percent annual return since smallpox was eradicated. In addition, an estimated 1.5 million people used to die annually of smallpox. So eradication has saved around 45 million lives over the last three decades. Smallpox was a great success but not a fluke. Among other historical foreign aid successes are immunizations, oral rehydration therapy and the green revolution…More broadly, when we pay a few hundred dollars for fistula surgery so that a teenage girl no longer will leak urine or feces for the rest of her life, that operation may not stimulate economic growth. But no one who sees such a girl's happiness after surgery can doubt that such aid is effective, for it truly saves a human being. Nicholas concludes by identifying the basic requirements for making aid better, such as targeting those sectors where the development value of every dollar of aid is maximized; sectors like health and education where aid spending has a good record. "Some interventions, like school feedings run by the World Food Program, address both areas: For just 10 cents a day, a child gets a lunch that reduces malnutrition and improves attendance." Other critical areas where foreign aid can bring more benefits than costs include "nurturing manufacturing and business development, so that countries can grow on their own." I totally agree with this, and with Nicholas' concluding shot: "…getting foreign aid right is harder than it looks — but also remember that 4,110 people didn't die today from smallpox. Aid can be cause for celebration, not embarrassment." I think that Nicholas' argument offers a common ground on which Bono and the skeptics of foreign aid can stand and work together to make it smart.